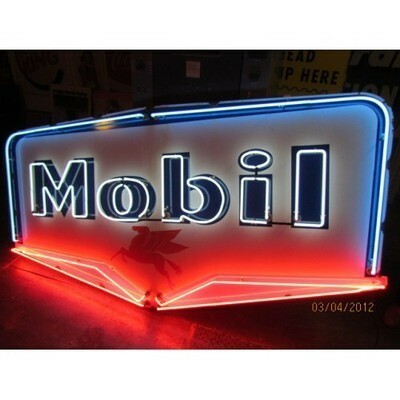 This large Mobil Single Sided Neon is a nice addition for a well made neon collection. The sign measures 102″ x 51″. The sign itself has little to no design or illustration, other than the Mobil logo of the horse at the lower center. The word “Mobil” appears across the center and is lit up well.